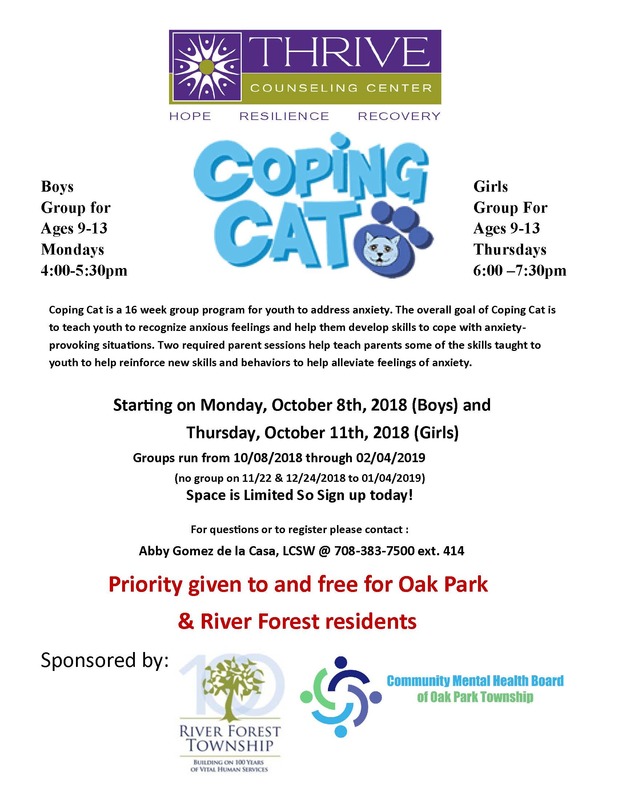 Coping Cat is a 16 week group program for youth to address anxiety. The overall goal of Coping Cat is to teach youth to recognize anxious feelings and help them develop skills to cope with anxiety-provoking situations. Two required parent sessions help teach parents some of the skills taught to youth to help reinforce new skills and behaviors to help alleviate feelings of anxiety. To register please contact Abby Gomez de la Casa, LCSW @ 708-383-7500 ext. 414.